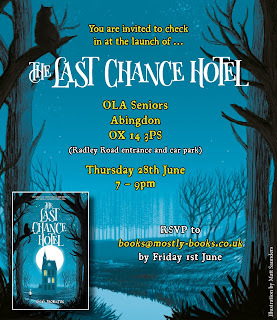 Mostly Books' previous owner, Nicki Thornton, is publishing her first book: The Last Chance Hotel on 7th June. Nicki will be having a book launch to celebrate the new publication. She received so many messages of support and good wishes when she won her award back in 2016, she wants the chance to say 'thank you' and she would love to invite customers of Mostly Books to help celebrate. 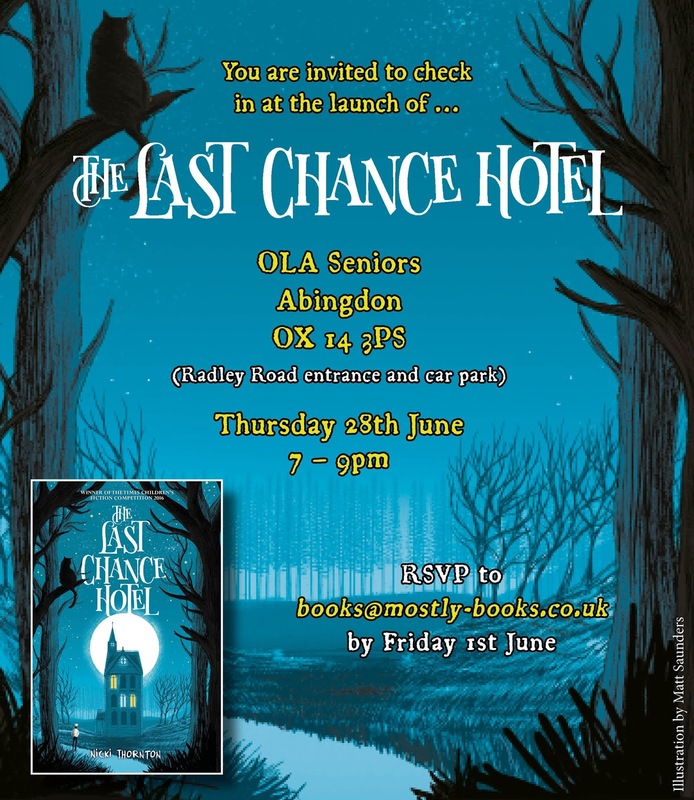 The launch will be taking place on Thursday 28th June at OLA Seniors from 7pm. There is a limit on spaces, so if you would like to come, please RSVP by 1st June indicating how many places you would like, and we will do our best to accommodate you on a first come, first served basis. Those that have RSVP'd will be contacted prior to the event to confirm the number of places that they have been allocated for the launch. So please do let us know if you would like to be added to the invite list. If you cannot make the evening, or we become limited by numbers, don't forget that Nicki will be signing at Mostly Books on Saturday June 9th at 1pm (click here for details).